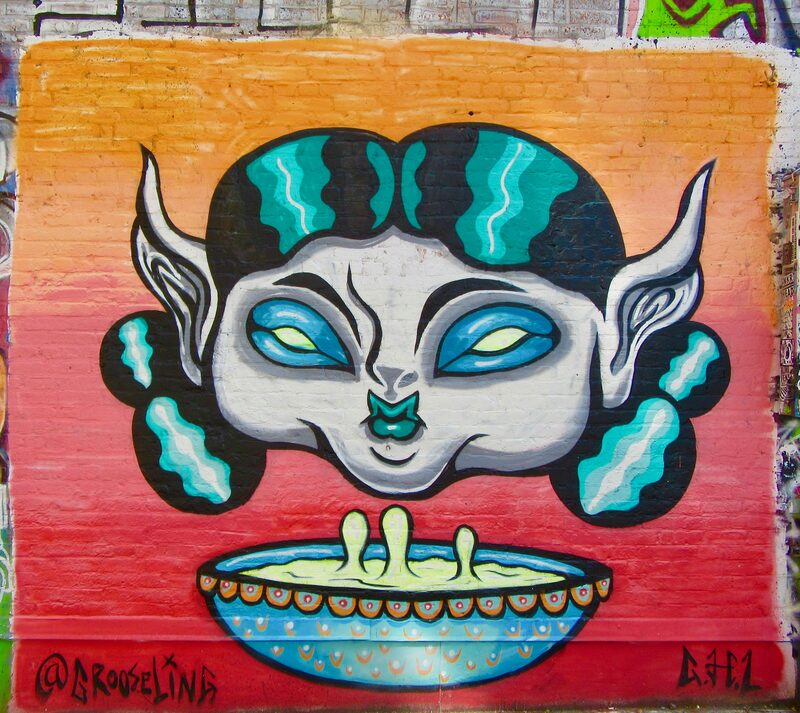 Just in time for Spring, the First Street Green Art Park has turned over a new batch of cool and colorful murals, such as this one by Brooklyn-based multi-media artist Grace Lang, AKA Grooseling. 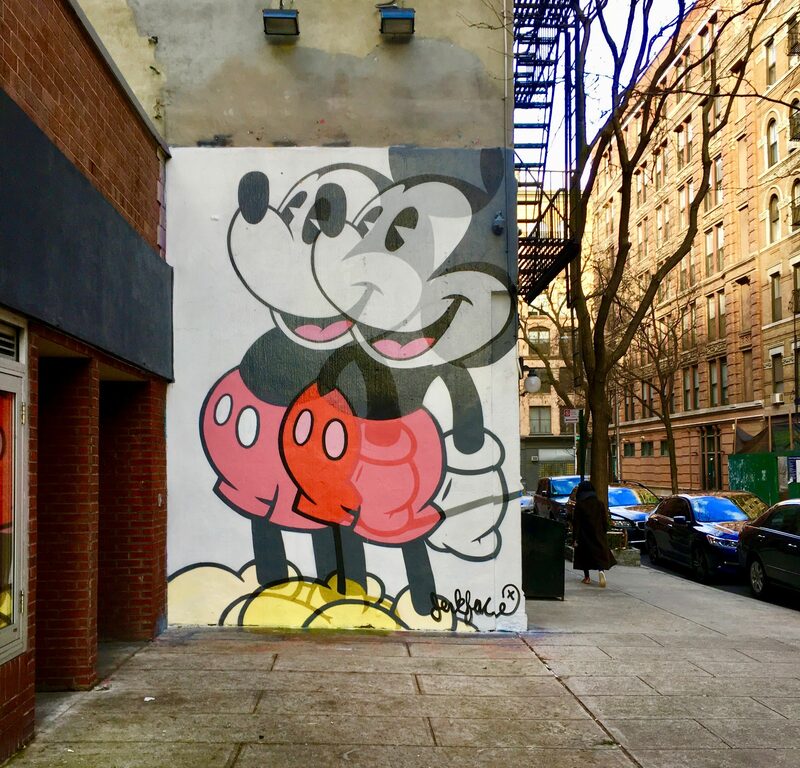 This piece went up in early March, 2019. 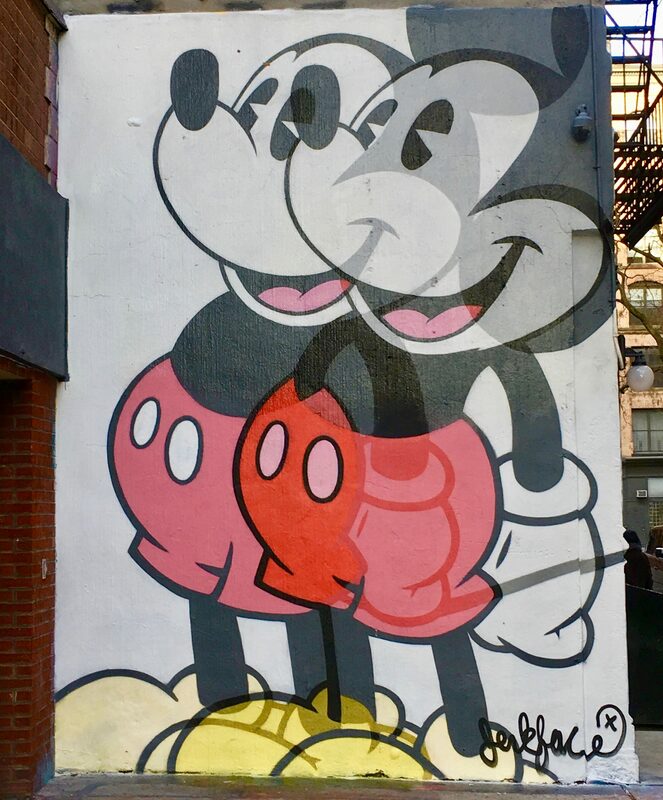 Find out more about Lang and see work from her extensive portfolio, at This Link! 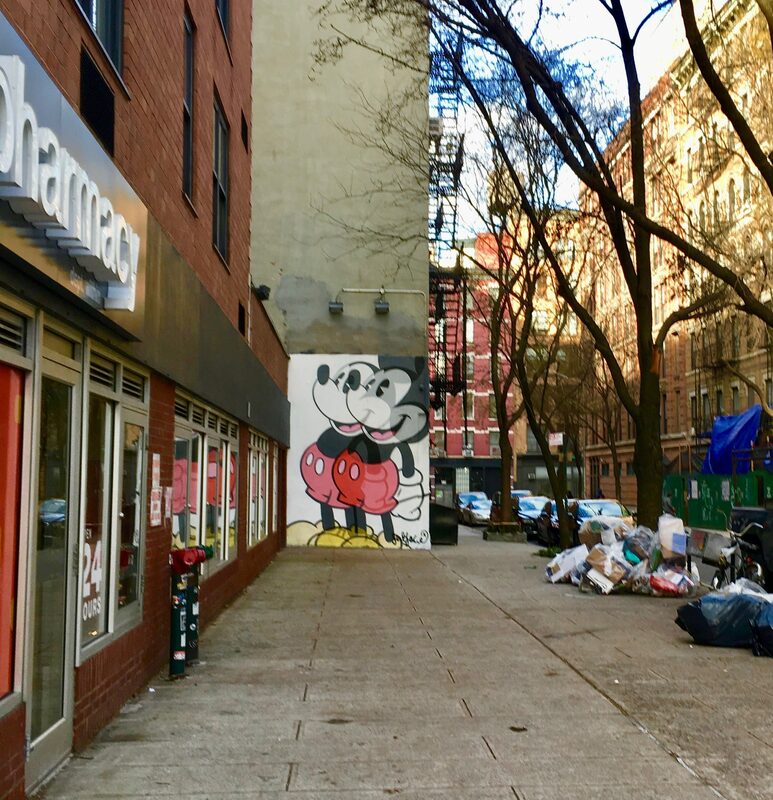 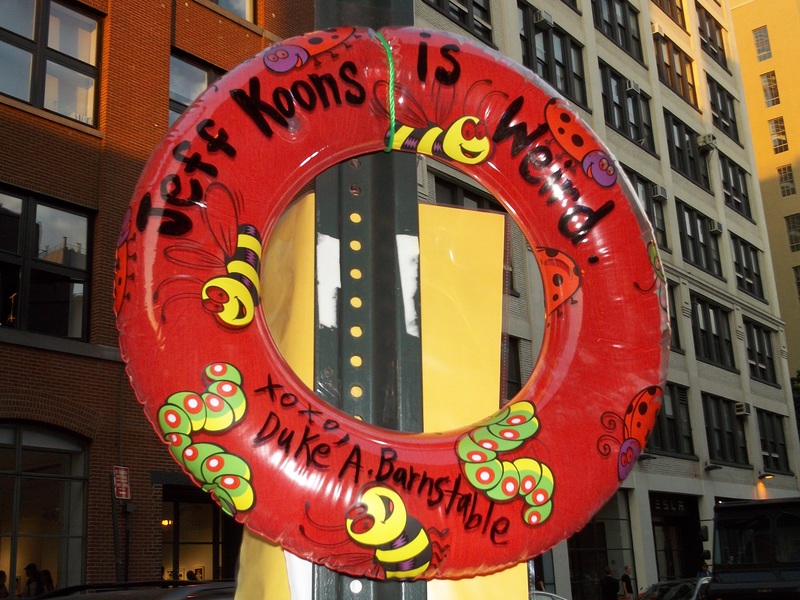 Homage, of sorts, to Super Star artist Jeff Koons by Duke A. Barnstable Spotted on West 25th Street. 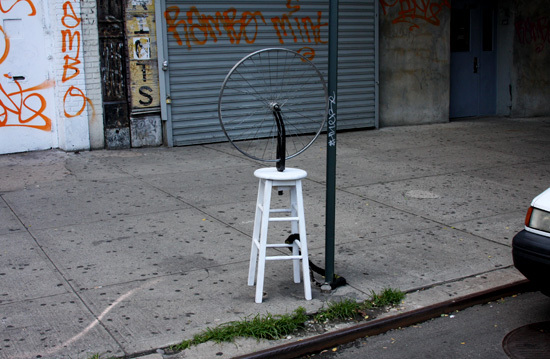 Duchamp knock off by artist Ji Lee.